on Development of a Reactive Geocomposite Mat (RGM) Containing Steel Slag Fines and Organic Media to Remove Nitrogen and Phosphorus from Impacted Ground and Surface Water will be co-funded by CBBG Industry Partner, Phoenix Services. As the first CBBG project co-funded by an Industry Partner, this represents a significant milestone in the development of CBBG. 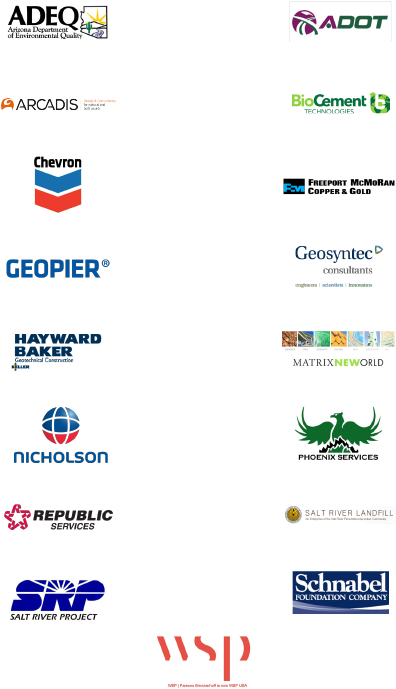 Year 2 accomplishments with you at the CBBG Annual Meeting on October 18-20 in Tempe. Arizona. I hope to see you all there! In the February CBBG Newsletter, we reported how Dr. Chloe Arson and Dr. David Frost had participated in a workshop organized by L3SR laboratory in Grenoble, France. As a result of that meeting, a proposal was submitted to the European research agency (IDEX Grenoble Alpes) to support co-advised Ph.D. students on bioinspired geotechnics (“BIOinMECH: The Mechanics of Bio-Inspired Processes: a Multi-scale Study of Multi-Functional Systems”). We recently have been informed that this proposal is being funded and the first Ph.D. student, Ms. Floriana Anselmucci, will begin her Ph.D. program at University Grenoble Alpes in October 2017. 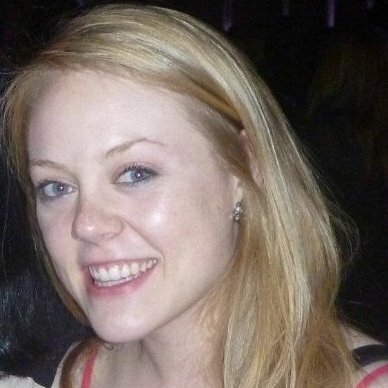 She will be co-advised by Dr. Luc Sibille from UGA and Dr. Chloe Arson from Georgia Tech. Dr. 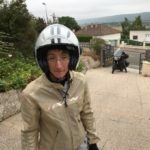 Arson was recently caught learning to ride a BMW motorbike while visiting research colleagues in France. 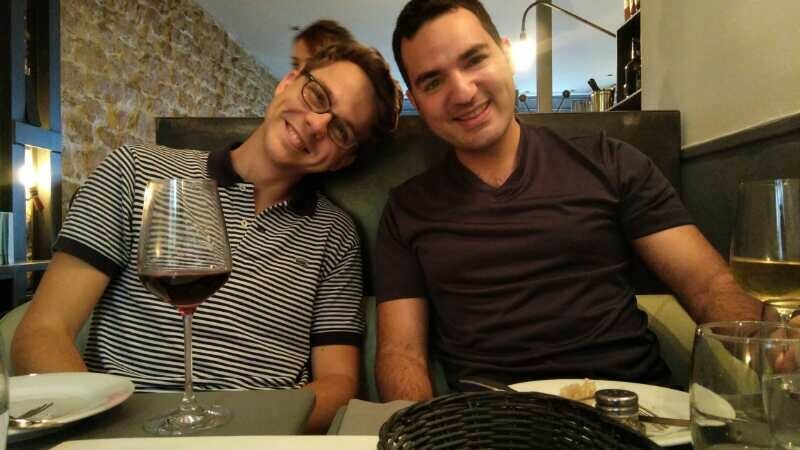 CBBG graduate student researchers, Mahdi Roozbahani and Seth Mallett, are spending the Summer in Paris as participants in an NSF funded exchange program with ENPC. Both are working closely with Dr. Jean-Michel Pereira from ENPC on numerical modelling of roots and ants. 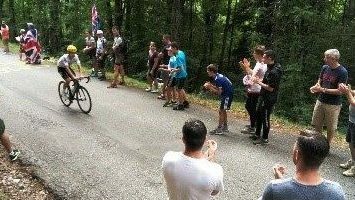 When time permits, they are enjoying dining in Paris as well as fitting in time to watch some exciting mountain stages in the Tour de France. Georgia Tech graduate student, Karie Yamamoto, discusses the progress of a group of fire ants in tunneling using the timelapse photography system with other students in the bio-inspired processes lab at Georgia Tech. CBBG REU student, Caroline Colbert, and Georgia Tech graduate students, Rodrigo Salgado and Sangy Hanumasagar, discuss the slow growth of a batch of leek plants that will be subjected to pullout tests over a period of the next several months. The plants are fertilized multiple times daily. 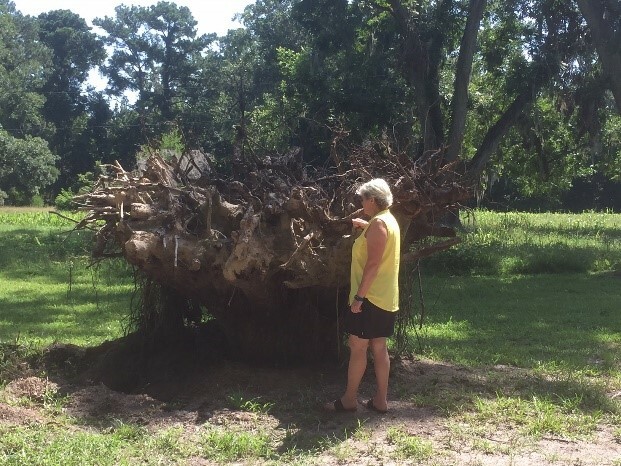 Jody Frost, wife of CBBG Co-PI, Dr. David Frost, provides scale in the photo of the root bulb of a live oak tree that was uprooted during Hurricane Matthew as it blew through Savannah, Georgia last Fall. 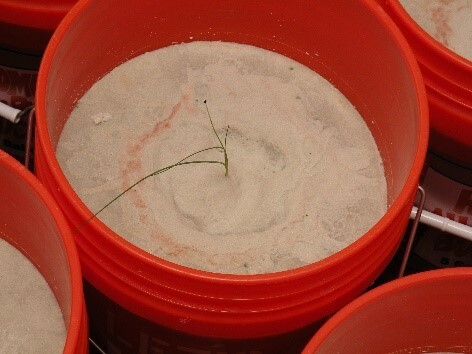 This full-scale natural experiment provides valuable insight for ongoing bench-scale tests on root analogs being conducted at Georgia Tech by CBBG graduate researcher, Seth Mallett. When the 2017 CBBG summer program ended, Young Scholar, Dion Shurley, decided he wanted to do more. Dion is a secondtime participant in ASU’s summer program. Last year, he worked on enzyme extraction, and this year his work, with his mentor, CBBG Graduate Student, Kimberly Martin, involved measuring the effectiveness of Enzyme-Induced Carbonate Precipitation for liquefaction mitigation through a test program on the shake table. Dion knew we had more testing to do after the summer program concluded, and he wanted to be a part of wrapping up the research and writing the subsequent conference paper. Dr. Kavazanjian was happy to keep him on through a student internship, and we look forward to seeing the results of Dion’s hard work. Dion is entering the engineering track at Scottsdale Community College in the Fall, and plans to transfer to ASU later. He was introduced to CBBG as part of our ongoing partnership with the Phoenix Indian Center. 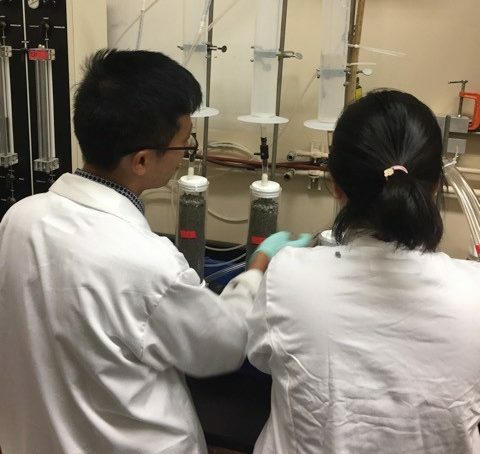 Over the summer, two Lafayette College undergraduate research students, Ziqi Chen and Vivian Chen, worked side-by-side with graduate students at UC Davis to continue their collaborative work on developing a method to uniformly grow biofilms in sand. The vision is for biofilm to uniformly fill the pore space in sands, thereby reducing the permeability. Recently the Lafayette College faculty PIs, Mary Roth and Laurie Caslake, visited UCD. Below is a picture of the research team finalizing the plans for an upcoming experiment and a picture from the first day of treatment for the experiment. The collaboration has been enjoyable and beneficial on many fronts – undergraduate studies learning about graduate school, developing a framework for primarily undergraduate institutions to collaborate with NSF engineering centers, combining expertise from different disciplines and researcher expertise. DeJong (UCD, faculty, engineering), Rebecca Kandel (UCD, undergraduate, microbiology), Vivian Chen (Lafayette, undergraduate, biology), and Rebecca Parales (UCD, faculty, microbiology) (Not pictured: Doug Nelson, UCD, faculty, microbiology and Ruixing Wang, China, visiting scholar, engineering). (Right) Ruixing Wang and Ziqi Chen active during first day of the experiment. is published, we should already have several partners who have signed on to this program. 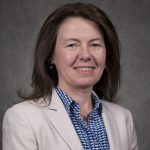 Dr. Rosa Krajmalnik-Brown and colleagues at the ASU Biodesign Institute (BDI) published a new study in the current issue of the Nature Publishing Group journal International Society for Microbial Ecology (ISME) exploring microbial communities in the human gut following weight lost surgeries. Researchers from Mayo Clinic and Pacific Northwest National Laboratory collaborated with BDI on this ground-breaking study. 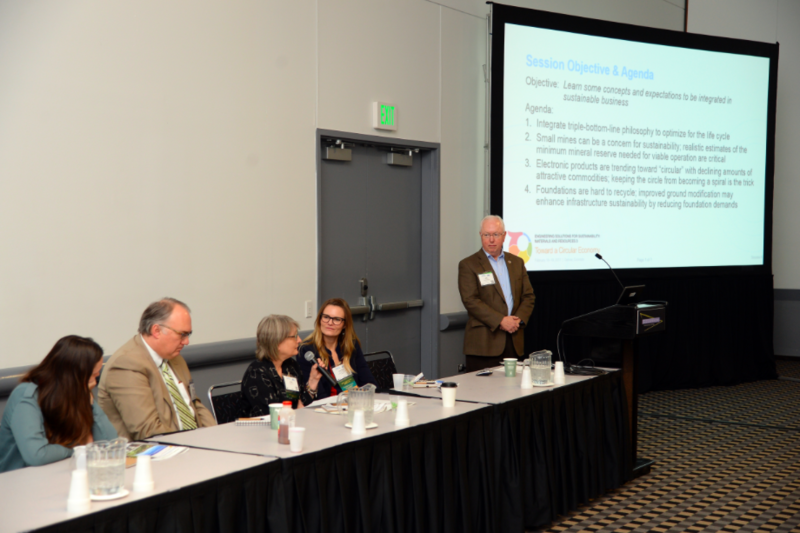 Kimberly Martin, CBBG Doctoral Student at ASU, was selected to serve on a panel and present at the Society of Mining Engineer’s Symposium: Engineering Solutions for Sustainability: Materials and Resources 3 – Toward a Circular Economy. Kimberly presented in Session I: System Implementation. Her presentation was entitled “Alternative Deep Foundations to Enhance Sustainability of Infrastructure Projects.” Coauthors Dr. Hamed Khodadadi Tirkolaei of CBBG and Dr. Ranjiv Gupta of Geosyntec Consultants. 3 collaborative project on EICP stabilization of subgrades and slopes. Dr. David Frost, CBBG Thrust 4 Leader, presented, “The Evolving Role of Geomaterials in Infrastructure Systems” at a Purchasing Managers Seminar held at the Georgia Mining Association Annual Convention in Ponte Vedra Beach, Florida, in July 2017. Altizer, M.A., Delgado, A.G. Ilhan, Z. E., Luna- Aguero, M., Aguiar, S., Torres, C.I., Krajmalnik- Brown, R. (2017, June). Tracking Hydrogen Flux in Soils to Improve Bioremediation Potential Site Assessments. Poster presented at the American Environmental Engineering and Science Professors (AEESP) Conference 2017, Ann Arbor, MI. Altizer, M.A., Delgado, A.G. Ilhan, Z. E., Luna- Aguero, M., Aguiar, S., Torres, C.I., Krajmalnik-Brown, R. (2017, May). Measuring Biotic Soil Hydrogen Demand as a Strategy for Bioremediation Potential Assessment. Poster presented at the Battelle Bioremediation Symposium, Miami, FL. Education Annual Conference & Exposition, Columbus, OH, USA. Dr. Doug Nelson, UCD Senior Investigator, presented an invited seminar on June 15, 2017, at the Joint Genome Institute (A DOE Office of Science User Facility; Walnut Creek, CA) entitled, “Can Ubiquitous Soil Bacteria Mitigate Earthquake-Induced Soil Liquefaction?” Nelson spent a full day there both touring the diverse sequencing facilities and having productive discussions with JGI scientists. CBBG Director, Dr. Edward Kavazanjian, Jr. and CBBG Industrial Liaison Officer, Dr. Nasser Hamdan, made a presentation on “Applications for Enzyme Induced Calcium Carbonate Precipitation for Erosion Control” at the 42nd Southwest Geotechnical Engineering Conference (SWGEC). The SWGEC is an annual meeting of State DOT officials from Hawaii, California, Arizona, New Mexico, Texas, Louisiana, Oklahoma, and Kansas. Attendance also includes representatives of the Federal Highway Administration and variety of technical professionals. The conference location rotates among the states involved in the SWGEC and was hosted by the Arizona DOT and held in Tempe this year. The presentation sparked a lot of interest among the attendees, and Kavazanjian and Hamdan discussed CBBG activities with the many attendees who visited the CBBG booth in the exhibit hall. Dr. Leon van Paassen was busy this Summer giving five invited talks in eight days in Malaysia and Singapore. At Nanyang Technological University in Singapore, van Paassen presented on “Bio-based barriers for seepage and erosion control in water retaining structures,” and “Biochemical decomposition of Organic Matter and its effect on Shrinkage and Water Retention Behavior of Fine Grained Organic Sediments.” At the Symposium on New Technologies for Urban Geotechnical Constructions being held at the Nanyang Technical University, van Paassen presented his research from CBBG and Delft University of Technology in the Netherlands. van Paassen presented a one-day seminar on Geotechnics at Universiti Teknologi Mara. At the Institution of Engineers in Malaysia, van Paassen gave an evening talk on recent advances in Bio-based Geotechnics. each day. Kimberly and Dion used the shake table to demonstrate why soil liquefaction is a geohazard, and then described to each session how CBBG is working to find biomediated and bio-inspired solutions for this problem. 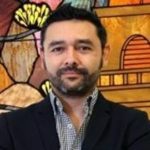 Congratulations to Dr. Douglas D. Cortes for receiving tenure and being promoted to Associate Professor. His contributions and commitment to the mission of New Mexico State University are greatly appreciated by his peers. In recognition of this milestone, the Office of the Executive Vice President and Provost of New Mexico State University hosted a reception on May 3, 2017, where the formal announcement was made. The focus of Douglas’ research efforts lies in the development of creative solutions to geotechnical engineering challenges that stem from the characteristic performance levels of soils in their natural state. In contemporary geo-challenges, performance can be defined in a variety of forms and often involves intricate relationships between mechanical, thermal, hydraulic, and biological properties. 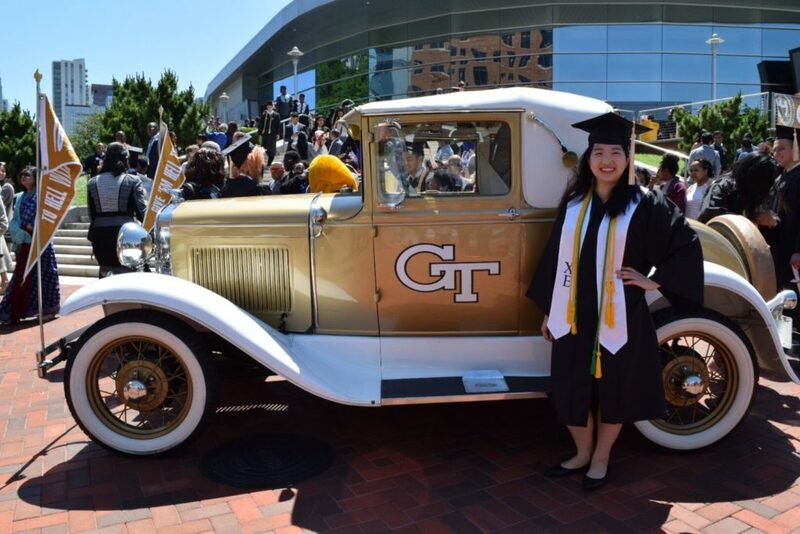 Karie Yamamoto received her bachelor’s degree in Spring 2017 from Georgia Institute of Technology. She has decided to continue on to her Master’s degree. Abdullah Almajed, ASU graduate student, successfully defended his dissertation, “Enzyme-Induced Carbonate Precipitation for Soil Improvement,” on June 26, 2017. 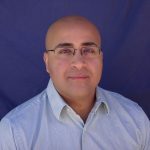 Saman Mostafazadeh-Fard, graduate student in the Civil Engineering Department at New Mexico State University, successfully completed the NMSU Arrowhead’s LAUNCH entrepreneurship program as a finalist this spring, and has been accepted into NSF Innovation Corps (I-Corps) and Aggie I-Corps tech entrepreneurship training programs. The National Science Foundation (NSF) I-Corps program prepares scientists and engineers to extend their focus beyond the university laboratory, and accelerates the economic and societal benefits of NSF-funded, basic-research projects that are ready to move toward commercialization. Acceptance into the NSF I-Corps program is highly competitive, with only 20 teams selected to participate each year. Through NSF I-Corps, Saman will test the feasibility of commercialization of his research focus, a Liquid Organic Fertilizer produced from grass clipping waste. The goals of these programs are to spur translation of research, to encourage collaboration between academia and industry, and train students to understand innovation and entrepreneurship. Saman will receive mentorship, coaching and $2,000 stipend for Aggie I-Corps and $50,000 in participant support for NSF I-Corps training program beginning in October 2017. Saman’s research at NMSU is sponsored by CBBG. Saman’s LAUNCH and NSF I-Corps mentors and graduate advisors are Dr. Zohrab Samani and Dr. Paola Bandini. Saman and his advisors are applying for a utility patent. Saman successfully defended his Master’s thesis on July 12, and will continue his graduate education at NMSU as a Ph.D. student in civil engineering this Fall. 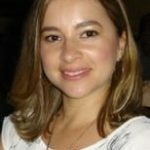 Dr. Anca Delgado, CBBG Senior Investigator, has agreed to join the faculty of the ASU School of Sustainable Engineering and the Built Environment as an Environmental Engineering Assistant Professor in August 2017. 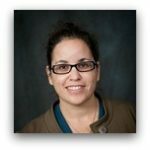 Anca received a Ph.D. in Microbiology from Arizona State University in 2013, and is currently a Research Scientist in the Biodesign Swette Center for Environmental Biotechnology. 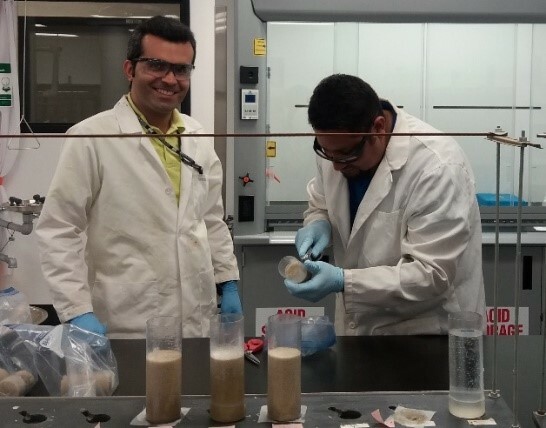 Delgado’s expertise is in bioremediation processes and environmental biotechnologies that combine microbial catalysts and chemical oxidants or reductants. 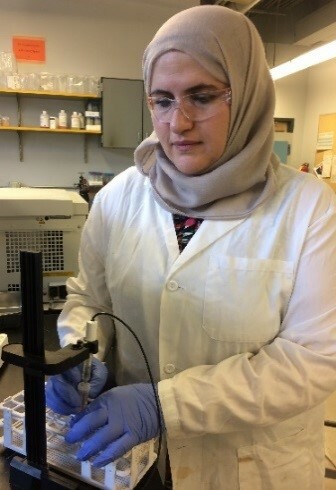 Her research interests are in the fundamental understanding of soil and water microbial processes that sequester and transform carbon and chlorine to remove contaminants and improve soil quality. For CBBG, Anca is working on a Microbial Metabolic Chain Elongation project. She is a passionate educator, having taught multiple classes during her Ph.D. and her postdoctoral appointments. 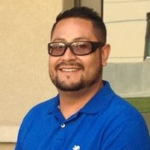 NMSU graduate student, Jose N. Pasillas Rodriguez, graduated this summer with a Master of Science in Civil Engineering degree, emphasis on geotechnical engineering. 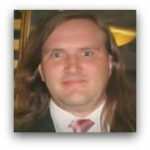 He began his research work as an undergraduate research student for a CBBG project at NMSU. 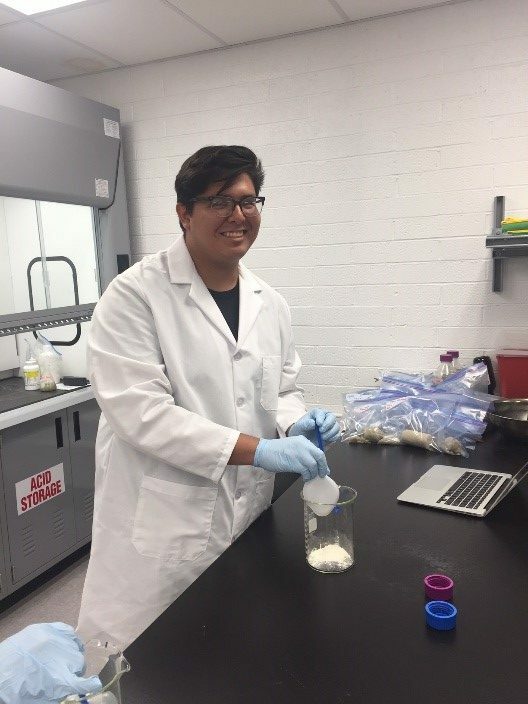 Immediately after receiving his Bachelor’s degree, Jose continued his project at NMSU as a CBBG graduate research assistant. 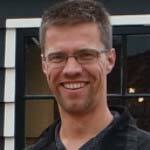 He completed his graduate program in 18 months with advisers, Dr. Paola Bandini and Dr. Craig Newtson. Jose successfully defended his Master’s thesis on July 17. 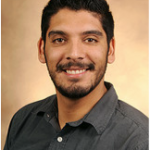 As part of his research, Jose was trained in EICP techniques and testing at the CBBG ASU laboratory for 5 weeks this past Spring. 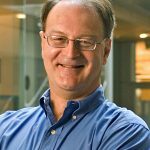 More than three and a half decades of exceptional contributions to research, scholarship and professional service, as well as steadfast dedication to teaching and mentorship, have earned Regents’ Professor Bruce Rittmann the honored status of Fellow in the Association of Environmental Engineering and Science Professors (AEESP). 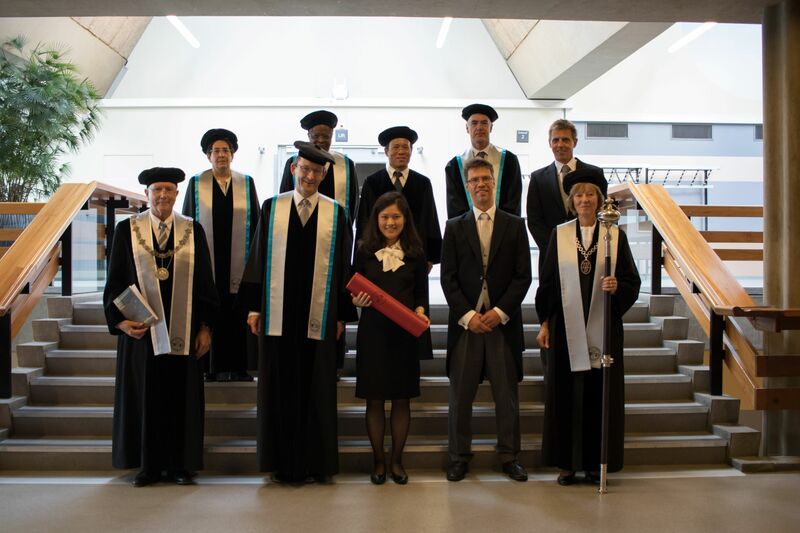 This international organization’s membership of about 700 boasts some of the most accomplished professors who provide education in the sciences and technologies of environmental protection. The AEESP Fellow designation adds to Rittmann’s voluminous list of awards and achievements. Among the most prestigious was his election to the National Academy of Engineering in 2004. 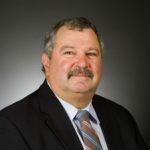 He has since become a Distinguished Member of the American Society of Engineers and earlier this year, Rittmann also was made a Fellow of the National Academy of Inventors. 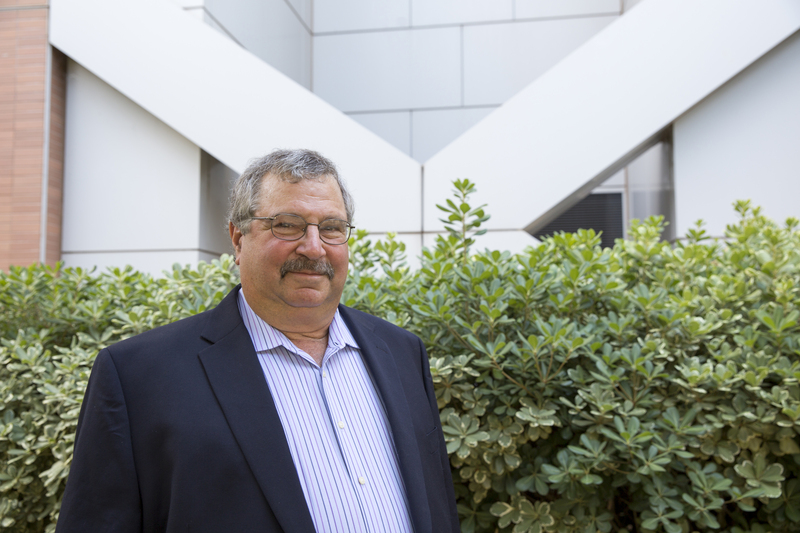 CBBG Director, Dr. Edward Kavazanjian Jr., has been elected to the University of California, Berkeley’s Civil and Environmental Engineering Academy of Distinguished Alumni. He earned his doctoral degree at Berkeley in civil engineering, specializing in geotechnical engineering. Through membership in its alumni academy, the program honors graduates who “have contributed greatly to societal well-being and development, both in the U.S. and around the globe.” Kavazanjian is an international leader in the field of geotechnical engineering, particularly landfill engineering and seismic design to fortify structures against the impact of earthquakes. He has served as lead engineer for analysis and design of some of the most significant hazardous waste sites in the world. at the forefront of the emerging field of biogeotechnical engineering, which focuses on using or emulating natural processes in developing innovative methods and technologies for engineering geotechnical systems. 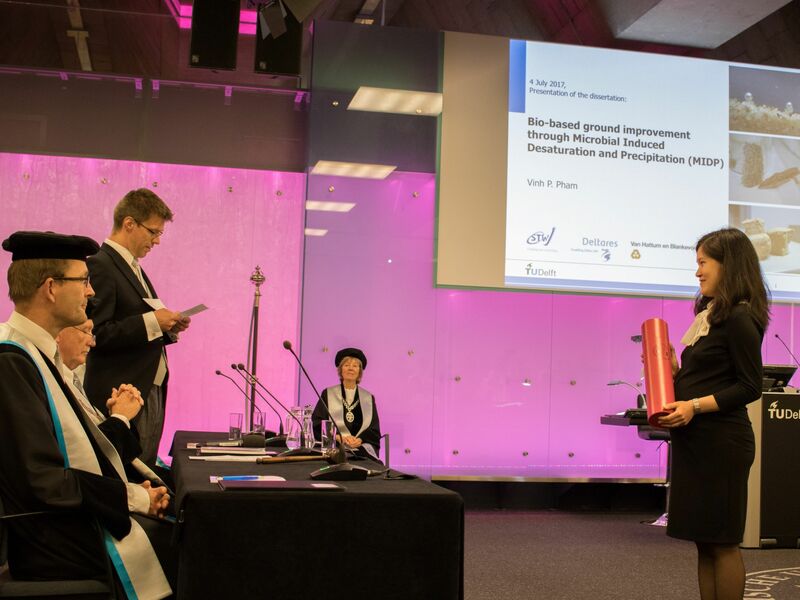 Dr. Leon van Paassen participated in the committee that approved Vinh Pham’s defense of her Ph.D. thesis, “Bio-based ground improvement through Microbial Induced Desaturation and Precipitation (MIDP).” Dr.
Pham is a guest member of CBBG at partner institute, Delft University of Technology, in the Netherlands. Dr. Delia Saenz, CBBG Diversity Director, lead a webinar on diversity and inclusion on July 5, 2017. The webinar was about the importance of broadening participation in engineering. Webinar participants included CBBG summer program personnel (REUs, RETs, and Young Scholars) at all four collaborating universities. Webinar exercises included describing “Who Am I?,” and identifying ways in which we can “stay on task” and “make awesome choices” regarding projects, assignments, and opportunities that arise in the future. On Monday, June 26, 2017, AccessERC hosted a panel of students with disabilities who shared information about their access to coursework, fieldwork, research labs, etc. Personnel from all four collaborating universities participated in this webinar. Forty-six high school students, mostly from southern New Mexico schools, participated in CBBG’s two-day activity on Bio-inspired Resilient Earthen Construction, and learned fundamental concepts on bio-inspired design, sustainability, and infrastructure resilience. 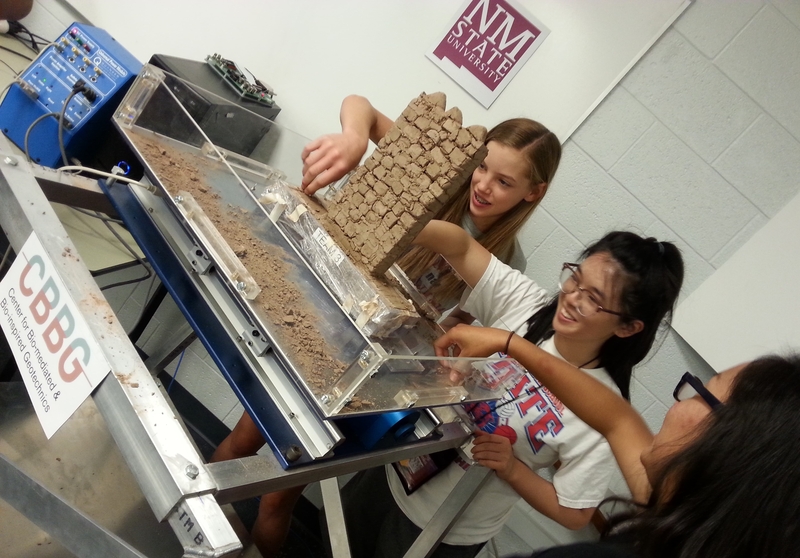 NMSU faculty, Dr. Brad Weldon and Dr. Paola Bandini developed and delivered this outreach activity as part of the 2017 NM PREP High School Academy, a two-week Pre-Freshman Engineering (PREP) summer residential camp for diverse, high-achieving students interested in engineering. The students used their STEM knowledge and creativity to design and construct small-scale sustainable, resilient adobe walls incorporating bio-inspired reinforcing elements using only natural materials and fibers. 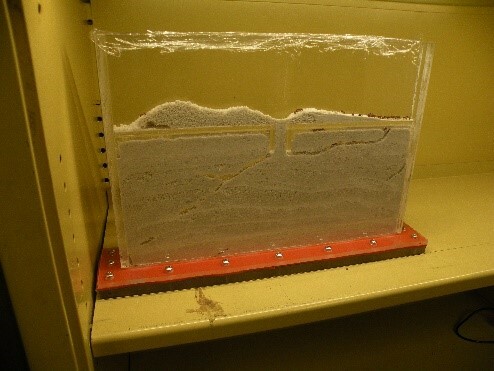 Their tiny adobe walls were tested on a shake table simulating earthquake loading to explore the mitigating effects of their designs against natural hazards. Each team gave presentations highlighting the bio-inspiration behind their designs to peers, faculty, and student mentors. The participants included 66% ethnic minority students and 38% female students from various public and charter schools. PREP mentors during this outreach activity included CBBG’s graduate assistants, Eduardo Davila and Diego Garcia-Vera, and undergraduate student, Judit Gallardo. 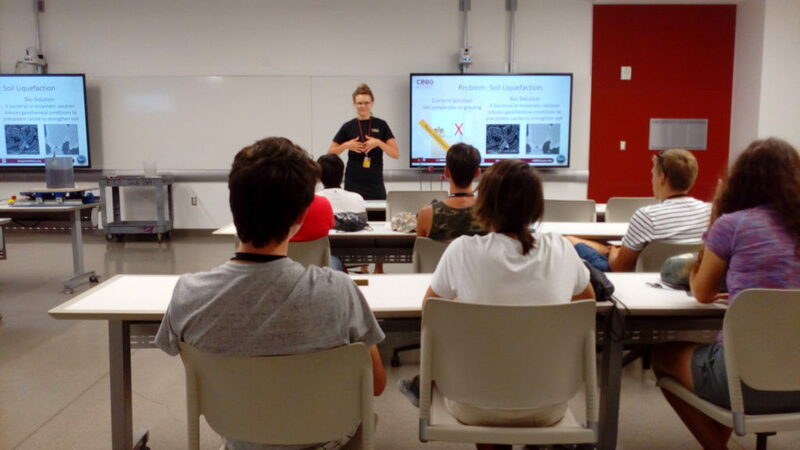 The engineering camp is organized and hosted yearly by the Engineering New Mexico Resource Network of the NMSU College of Engineering at no cost to participants. 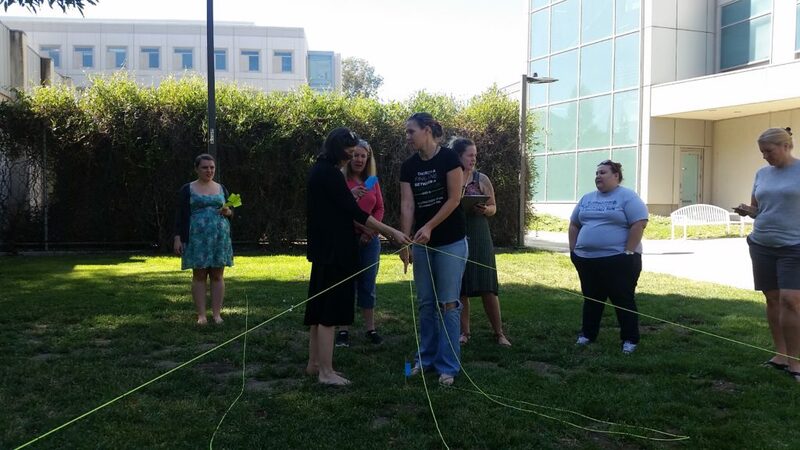 From June 10 to June 13, 2017, teachers from four local middle schools participated in a four-day workshop at UC Davis to connect CBBG research topics to K-12 education. All of the participating teachers had attended a 2016 CBBG workshop where they learned basic concepts in life cycle assessment, geotechnical engineering, and bio-inspired design. This year, the teachers collaborated with CBBG students and faculty to determine how sustainable and bio-inspired civil engineering applications and conceptual models can help achieve the Next Generation Science Standards for middle school students. CBBG graduate students, Matthew Burrall, Jordan Greer, Annie Kirkwood, Sophia Palumbo, and Alena Raymond all updated teachers on their research projects, and brainstormed ideas for connecting content to middle school students. 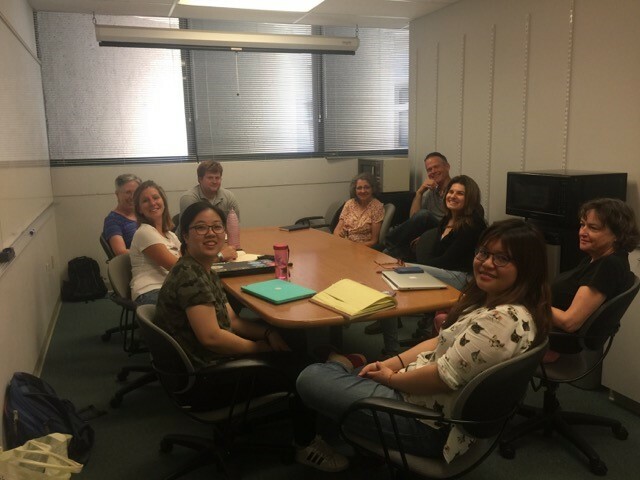 Two undergraduate students, Vivian Le and Jenna Kelmser (an REU student from Humboldt State University), currently working on K-12 modules on bio-inspired design and bio-films, also contributed to the productive discussion. The workshop cohort will continue to share content and ideas throughout the upcoming academic year to refine the K-12 modules. Additional plans for the year include science class field trips to UC Davis, CBBG students visiting the four schools, and teachers providing feedback on education modules developed by CBBG students. Dr. Colleen Bronner facilitated the workshop and leads CBBG pre-college education efforts at UC Davis. Dr. Krista Glazewski and Dr. Thomas Brush, both from Indiana University, Bloomington, presented workshops introducing Problem-Based Learning (PBL) instructional strategy, and how PBL can be incorporated into a wide range of classes to enhance student engagement and overall effectiveness of instructional objectives. Participants learned the differences between developing PBL with focus on Design versus Dilemma Problems. students (YS) were deeply engaged in technical research working in CBBG labs. participated in lab research and CBBG activities. We are grateful to CBBG graduate students, and post-doc and faculty researchers who ably mentored these summer researchers in their labs, supported by a lab-based engineering mentoring program designed by Dr. Jennifer Chandler, and implemented across the Center. 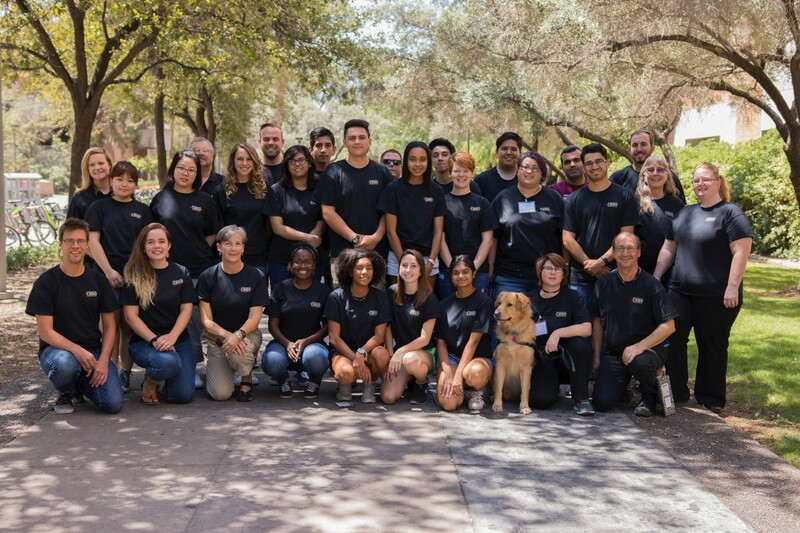 All 23 summer Research Experience participants spent the first three days of the program at Arizona State University for orientation. There they completed safety training, and participated in research presentations from mentors at all four partner universities, lab tours, workshops on mentoring and design thinking, and fun, hands-on activities, some of which were shared across several ERCs. each shared their research via video conferencing. After working in the labs in the mornings, the RETs met as a group to work on CBBG-based curriculum to take back to their classrooms. They also collaborated in in-depth professional development sessions on Problem-Based Learning, presented by guest researchers from Indiana University, as well as interactive sessions throughout their five weeks on Design Thinking. A session was arranged so the CBBG RETs could share their developed lesson plans with RETs from QESST (another NSF-funded ERC headquartered at ASU). Teachers began preparing posters in which they will present both their lab research project results and about their curriculum projects. The high school students in the Young Scholar Program worked each day in the CBBG labs, and worked with their mentors to create a research poster based on their project. A poster reception was held in the ASU University Club on July 6th, so the students could present their research to family and friends. All participants will be invited to participate in the NSF Site Visit to CBBG on October 19-20, 2017, and will continue collaborating as mentors in different outreach activities organized by CBBG. This summer, the mentors and mentees participating in the CBBG Summer programs received mentoring training using a mentoring model tailored for engineers. Dr. Jennifer Chandler developed the model mentoring guide. She conducted training for the assigned mentors before the Summer Programs started ,and also conducted training with the mentees during their orientation time at ASU. 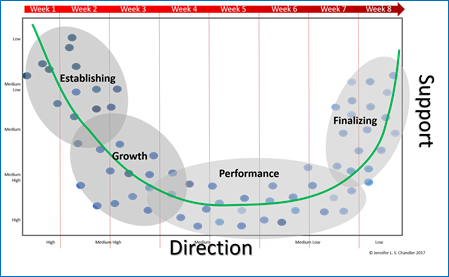 The mentoring model (depicted above) and the mentoring guide that Dr. Chandler produced for CBBG draws from recent leadership and mentorship research. The NSF- funded Nanotechnology Enabled Water Treatment (NEWT) ERC also used Dr. Chandler’s mentoring guide in their Summer Programs. On May 16, Ph.D. student, Hani Alharbi and Ds. Leon van Paassen and Dr. Jean Larson headed to one of CBBG’s founding educational partners, Capitol Elementary School, to present a fun lesson on the science of sand castles. 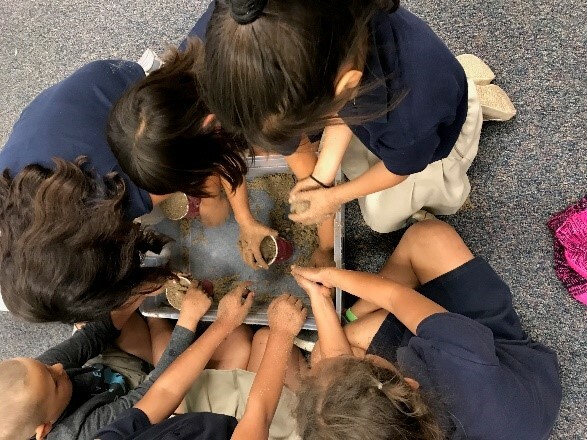 Each of the three first grade classes at Capitol participated in the demonstrations, and learned about the different properties of dry and wet sand, and causes of liquefaction. Small groups experimented with the sand and competed to build the strongest sand castle. Estrella Vista STEM Academy, CBBG Educational Partner, held their annual school-wide STEM Showcase on May 17, 2017, to celebrate their inaugural year as an innovative STEM Academy. Design Thinking, with a special focus on engineering, has been implemented throughout the curriculum. 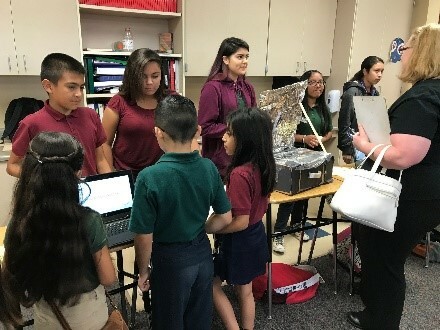 Ph.D. student and Design Thinking expert, Krissy Elwood, along with Dr. Khodadadi Tirkolaei, Dr. Jean Larson, and Dr. Leon van Paassen were guided by 8th grade leaders, Carlos Frausto and Phoenix Kelly, to evaluate science and engineering projects throughout the school. In addition to being Earth Day, April 22, 2017 was Picnic Day at UC Davis. 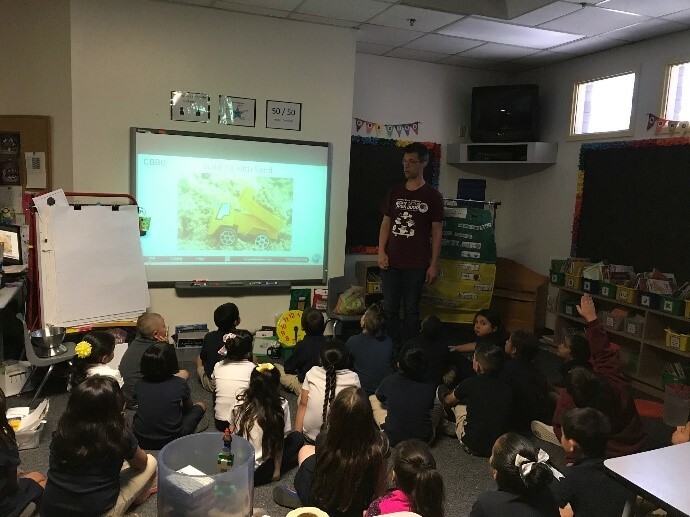 CBBG students dedicated to sustainable geotechnical solutions and embodying school spirit engaged the local community through interactive activities that increased awareness of and knowledge in civil engineering. 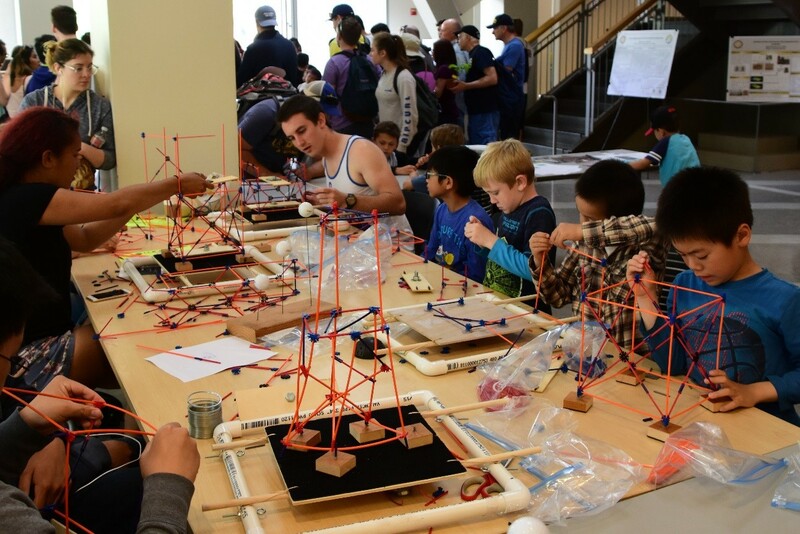 Exhibits allowed children of all ages to create their own seismic waves; construct, test, and evaluate buildings for earthquake preparedness; and model watershed processes in an augmented reality sandbox. For community members wanting to delve deeper into geotechnical engineering, graduate student posters describing current UC Davis research projects bordered the CBBG exhibit. Throughout the four hours of the event, over 350 visitors, including about 160 girls and boys, interacted with the exhibits. Visitors included local community members, current undergraduate students interested in geotechnical engineering, and several alumni – including a geotechnical engineering Ph.D. alumnus and his family. While most visitors spent between 15-60 minutes, some families spent over 3 hours becoming engrossed in discussions about designing resilient and cost-effective structures. The day’s outcomes included an abundance of knowledge exchanged, more people thinking about earthquake engineering, K’nex scattered across the Ghausi Lobby, and several exhausted graduate students. 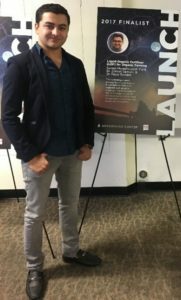 The people responsible for the event’s success included CBBG graduate students Charlie Graddy, Gabby Hernandez, Sophia Palumbo, and Alena Raymond teamed with Diane Moug, Alex Sturm, and Bao Li Zheng. Students were supported by CBBG faculty Colleen Bronner, Jason DeJong, Alejandro Martinez, and Katerina Ziotopoulou, all of whom attended the event. entrepreneurial thinking to enable broader impact of educational innovations. 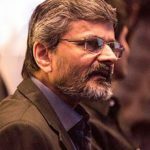 could partner and foster engagement with India. with the company in their Denver branch as Construction Manager to start this August.